CILT, the Chartered Institute of Logistics and Transport (CILT), is a name you are probably already very familiar with, with the organisation having long been involved in the bus and coach industry. However, it has recently expanded its offerings with the launch of Busmark, a benchmarking scheme for PCV operators. 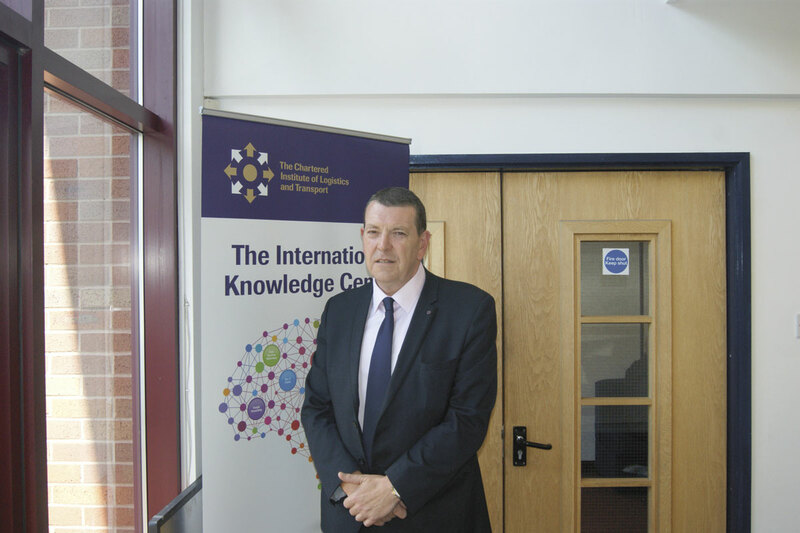 Chris Peat met Chris Ruane, CILT’s Business Development Officer, at the organisation’s Corby headquarters to find out more about what the business can offer its members. Starting with its roots, Chris Ruane explained that the Institute set up to unite and work together in the transport industry came out of one of the biggest conflicts known to mankind. The organisation can trace its legacy back to the First World War, when a group of transport professionals, from managers and engineers to administrators, came together to help the war effort. The General Headquarters (Transport) unit, or GHQ (Transport), as they were collectively known, played a key role in Britain’s success during the war. As the conflict escalated and it became clear it would not be ‘over by Christmas’, a logistical challenge was being faced by the British military commanders. Initially prepared for a short, brutal conflict, the British forces required an extensive transport network to deliver munitions and extra troops to the frontline. The system set up for this is considered the world’s first large scale, mass integrated transport network driven by the application of scientific principles. This successful application of mass transport organisation began to play a part in post-war Britain. Members of GHQ (Transport) met at the Savoy Hotel, London, on 3 November 1919 to champion the foundation of the Institute of Transport, as CILT was previously known. Its aims were to collect data to aid in better and more efficient transport methods, the achievement of an integrated transport system and the training of transport talent. Since that first meeting it has received a Royal Charter and had a change of name, but the Institute’s goals have stayed largely the same. One of CILT’s major aims is to encourage people into the industry and to support those who are already a part of it. One way it does this is through its training courses. It offers a range of qualifications, from Management CPC through to Driver CPC, offering training from Level 1 to Masters. Its programmes and courses are designed to improve job performance and support individual career development. One thing Chris has noticed is that more members are now opting for the distance learning the organisation offers, with increasing numbers learning online. CILT provides several levels of training to suit individual needs, with a Level 1 qualification giving learners an insight and basic understanding into transport and logistics. Level 2 and 3 follow on from this, expanding the trainee’s core knowledge and providing an introduction to management. Level 5 and 6 Diplomas are for the more experienced. Further progression is available through the MSc programme offered by the University of South Wales. It is not just about training though, being a member of CILT means access to a wide range of forums. It has over 40 specialist interest groups for its members, which meet up once or twice a year to discuss issues and topics in their specialist areas. These span across all sectors, such as public policy and young professionals, to more specific areas, including a specialist bus and coach forum. Chris says the latter is one of its most active forums. It is chaired by Austin Birks, a well known figure within the bus and coach industry, who is supported by a pro-active committee. Members are encouraged to sign up to their relevant forums. As well as keeping up with the latest issues in these areas, Chris said the meetings also allow members to establish contacts with other professionals. The aim of the forums, he claims, are to raise the standard of compliance and efficiency, as well as improve other aspects of performance in the industry. These meet ups are in addition to other networking events intended to provide members with further opportunities to engage with industry peers, as well as hear new ideas in the industry. National events include the Annual Conference, President’s Inauguration Lunch and Fellow’s Lunch. It also stages the Annual Awards for Excellence. As well as the sector specific forums, others are held, such as the CILT Transport & Logistics Safety Forum Conference at Millbrook Proving Ground in Bedford earlier this year. Over 100 delegates attended this one, which had the theme of ‘Our Vehicles, Our Safety, Our Responsibility: Improving Road Safety for Vulnerable Road Users’. It highlighted the importance of having safety high on the boardroom agenda and coincided with the launch of a film on the same topic. The Institute encouraged businesses and organisations to use the film to increase awareness and knowledge of the severe and serious implications of neglecting safety as a primary concern not just at operational level but at board level. An example of the lengths CILT goes to help inform its members is its link up with news network, ITN. The two are working together on a dedicated news channel for logistics and transport professionals. Global Logistics and Transport News from ITN provides the Institute an invaluable opportunity to broadcast industry news via a new Transport News Channel online. ITN Transport News is intended to provide professionals in the industry with news and insights into prominent issues. It is anchored by well known news presenter, Natasha Kaplinsky. The partnership is aimed at spreading innovation, best practice and ideas, as well as attempting to gain support from the government. To further keep members up to date with the industry, CILT publishes its Logistics and Transport Focus magazine. The publication looks at issues in the sector and its own developments. The content is intended to help readers improve their professional knowledge. Other benefits of membership include access to confidential legal advice over the telephone. It is available 24 hours a day, 365 days of the year. Providing the service is a range of barristers, solicitors and legal executives together with employment and health and safety consultants. 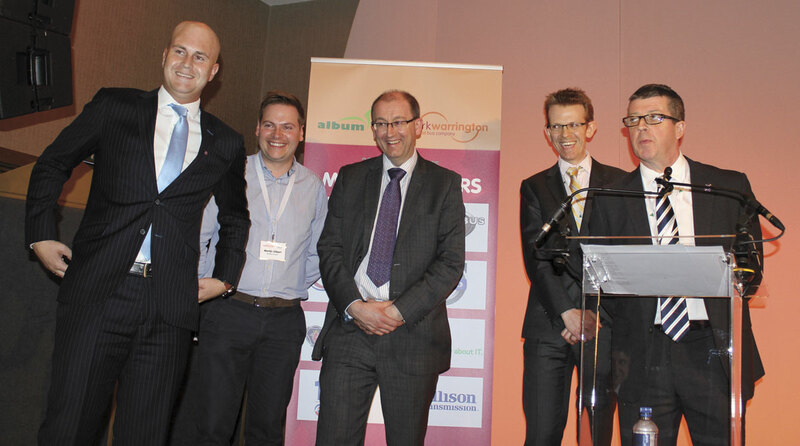 Something Chris was excited to talk about was CILT’s benchmarking schemes. 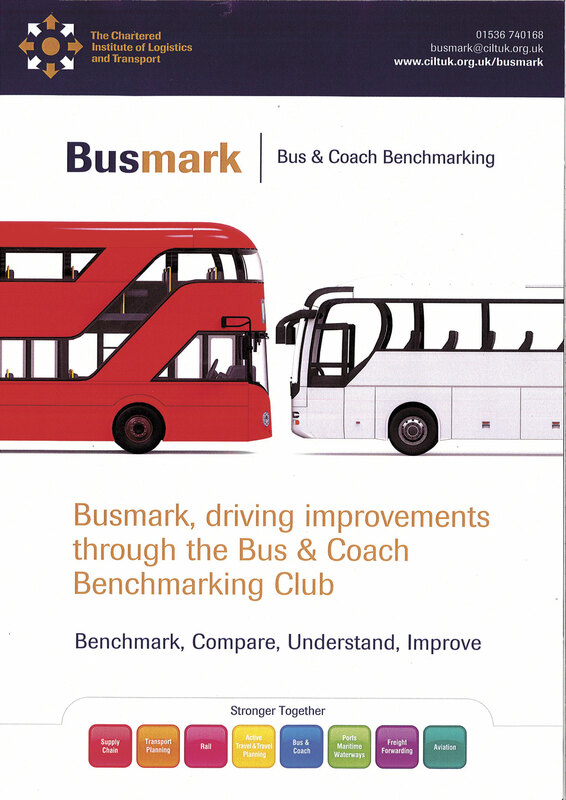 As we have previously mentioned (see B&CB 1329, 29 May 2015), the organisation has launched Busmark, an industry benchmarking scheme. What inspired this was another of the Institute’s benchmarking clubs, Logmark, which is tailored to the supply chain, logistics and transport sector. Like Busmark, the companies signed up to it are measured on a number of factors and confidentially compared to the rest so they know how their performance compares to their peers. Busmark was inspired by LogMark, but is not a case of making the same thing fit the bus and coach sector. It has been specifically designed to meet the needs of bus and coach operation. Prior to officially being launched, the first meetings to get the scheme off the ground were in early 2014. Since its launch at this year’s ALBUM Conference, the group has grown to include 25 operators. Chris reports it has received ‘very positive’ feedback. The data collected in Busmark includes details on operations, engineering, risk, environmental impact, employees, technology and customer service. The information is collated by CILT and a report is released that provides an overall picture of the state of the operators involved. Individual reports are also issued, showing how they compare to others in the scheme. All details are kept confidential. Open to operators of any size, it uses a traffic light system of analysis, using red, amber and green to signify performance levels. It meets quarterly to discuss the survey results, common issues and emerging trends. These meetings include a facility tour by the host company. Chris said he was saving the best thing to show me till last, and he wasn’t kidding. One of the biggest assets of CILT is its Knowledge Centre. It has been described as Europe’s largest collection of paper material relating to logistics and supply chain transport and this was easy to believe, but that is only one section of the Knowledge Centre, which extends beyond a physical library with a host of online material and search options available. Knowledge Centre Manager, Peter Huggins, kindly demonstrated it. Available for use by any CILT member free of charge, Peter described it as four resources all in one. 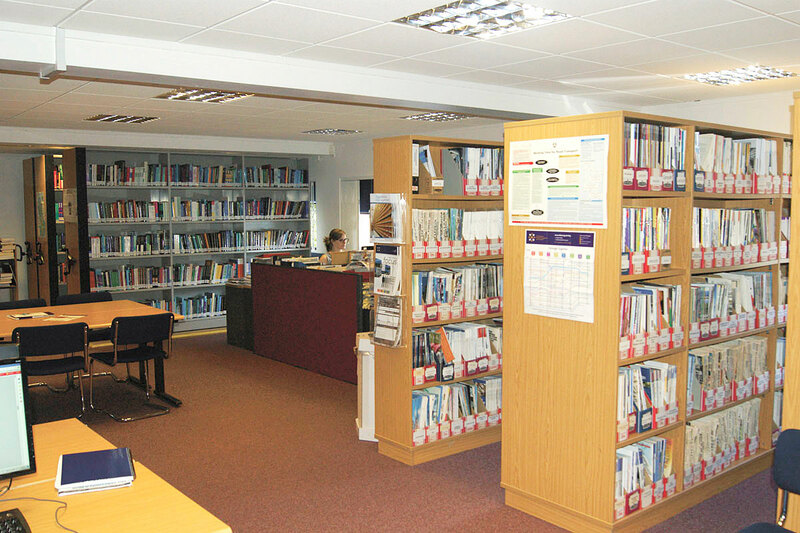 Firstly, there is the physical library itself, which has over 8,000 books, pamphlets and other paper documents relating to the transport sector, ranging from white papers and acts of parliament to business quarterlies and other publications. Over 350 journal titles are available. Any member is allowed to visit the library and loan documents out at any time, with the doors open from 09.00 till 17.00. However, Peter acknowledges the modern transport professional does not have time to visit Corby every time they want to look up a book. With this in mind, the second resource is the Centre’s online database, which allows users to search the library’s contents and download PDF versions of journal articles and other documents. Peter, assisted by fellow librarians Erin and Fiona, are in the process of downloading these onto the database, adding new ones as they are published. There are around 52,000 items currently available. The third resource is a series of online searches it has available. CILT has access to paid for services, which can search almost all newspapers across the globe, focusing on whatever topic is requested. This is just one of the databases available to them, with several others that require a hefty access charge at their disposal. Business reports, including company details from across the globe, are also available. Fourthly and finally, the next resource is Peter and his team. They are at members’ disposal to use their specialist knowledge in searching for data and can sift through the mountains of information to get the answer to any query. Peter described this as the ‘most important resource’. If the details are not available in any existing source material, then Peter said he has a contact list of 18,000 experts to ask from, namely the CILT membership. He will also travel if required, with a trip planned to London to a library for the day after my visit. Peter said he can often get answers to enquiries on the phone over to a member within a couple of hours. If a request for a book to be sent out comes in by 15.00, then he can have it posted for free recorded delivery by the next day. In all, the amount of information is nothing short of staggering. Whether it is reported in the trade press, in a book, a newspaper, a journal or elsewhere, no matter how obscure, there is a high chance it can be found through CILT’s Knowledge Centre. With some business related documents that can be downloaded worth the membership fee itself, the Knowledge Centre may well prove very attractive to potential CILT members. With this, plus the rest of the advantages the organisation brings in terms of developing a career in the bus and coach sector, it would not be surprising to see the number of members it has in the industry rise.